TruRide® Stability: Unlike other hoverboards, the platform is comprised of a single solid board, which responds to the weight of the rider. 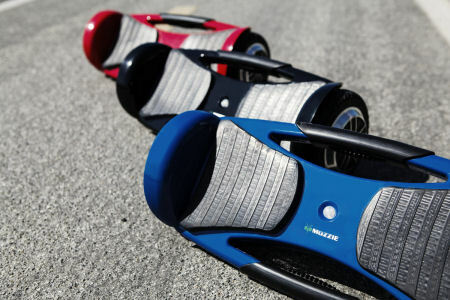 The board is automatically self balancing, meaning it provides natural stability which allows the rider to concentrate less on their balance and more on enjoying the ride. TruRide® Stability: A stable and responsive board that automatically locks when getting on and off (more detail on TruRide). No fan, natural convection. Do not cover the charger. Shipping and handling is $45.00, within the 48 continental United States. For deliveries to Hawaii, Alaska, Puerto Rico and Canada we can quote you a shipping price. We will be unable to accommodate deliveries to any other international destinations. Mozzie Hoverboard - Color BLACK (more info) — only 4 left! 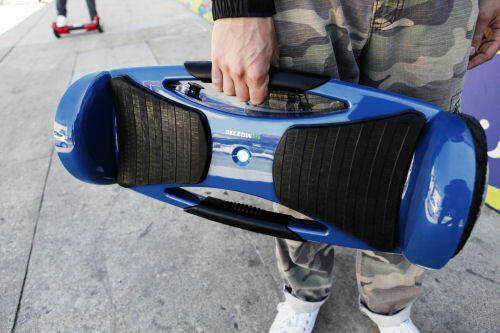 Mozzie Hoverboard - Color BLUE (more info) — SOLD OUT! Mozzie Hoverboard - Color RED (more info) — only 5 left! Shipping & Handling: $45 within the contiguous United States. If shipping to Alaska, Hawaii, Puerto Rico, or Canada $75 additional.